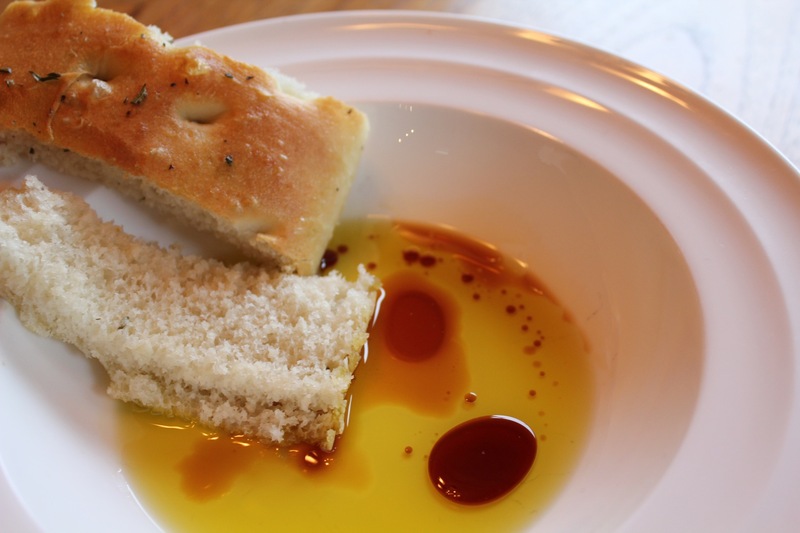 Focaccia is wonderful on its own, served with your finest aged balsamic vinegar and a fruity extra-virgin olive oil for dipping. 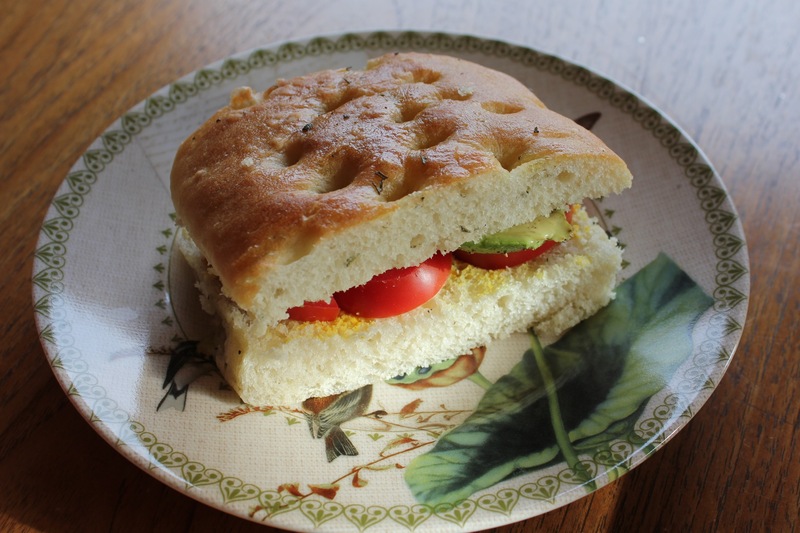 It also makes a very flavorful sandwich bread- great for picnics, hikes and road trips! In a large bowl, place yeast, 1-2/3 cups of warm water and honey. Mix together and let stand for about 5 minutes (mixture should start to look creamy). Add olive oil and flour, a cup at a time until a soft dough forms. Turn dough onto a floured surface and knead for about 8 minutes, adding more flour when needed. Transfer to a large oiled bowl and cover with a damp tea towel. Place in a warm place and let rise until doubled in size, about 1 to 1-1/2 hours. Punch down dough. Divide into two equal pieces and roll each piece on a floured surface into desired shape (round, oval, rectangular). 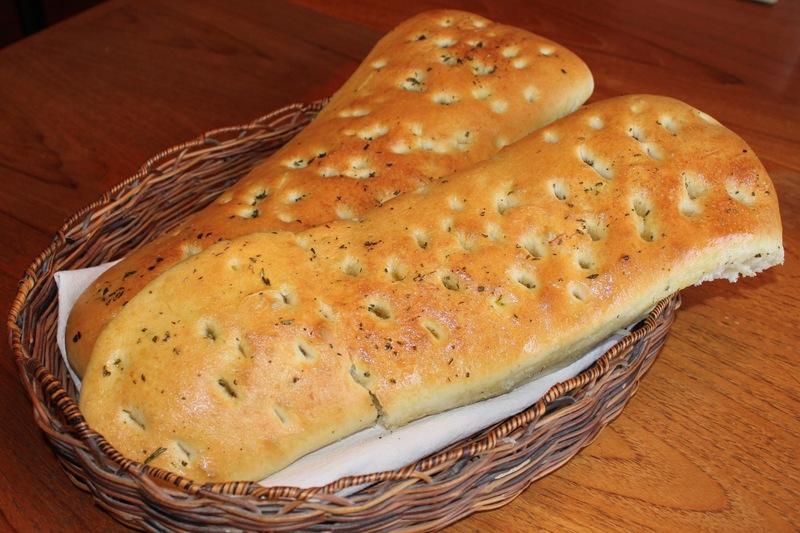 Sprinkle the fresh herbs onto the dough (save about 1 tablespoon for the top) and fold over to incorporate. Note, today I used thyme on one loaf and rosemary on the other for variety. Place on an oiled baking sheet (or lined with parchment paper) and cover with a damp tea towel. Allow dough to rise until doubled in bulk, about 1 hour. Preheat oven to 425 degrees (F). 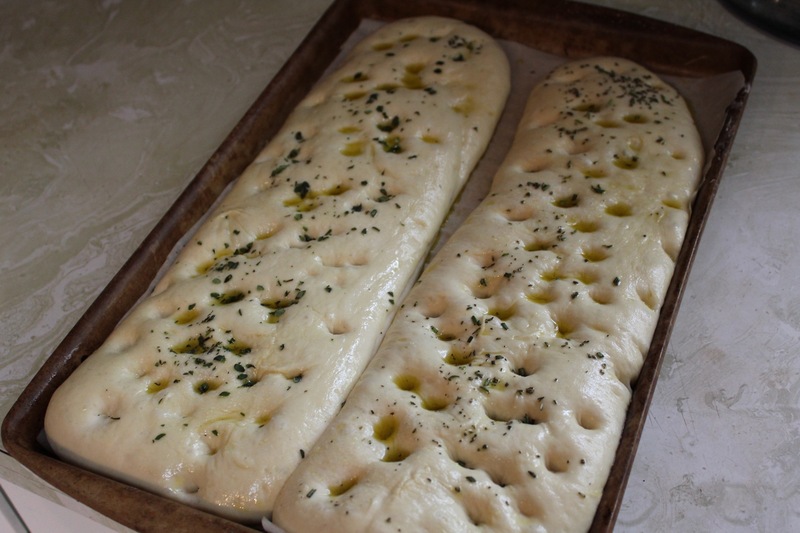 Make shallow indentations with your fingertips all over the dough, then brush with olive oil and sprinkle the last of the fresh herbs and the sea salt over top. Bake until golden brown, about 25 minutes. Cool on a wire rack before serving. Enjoy!